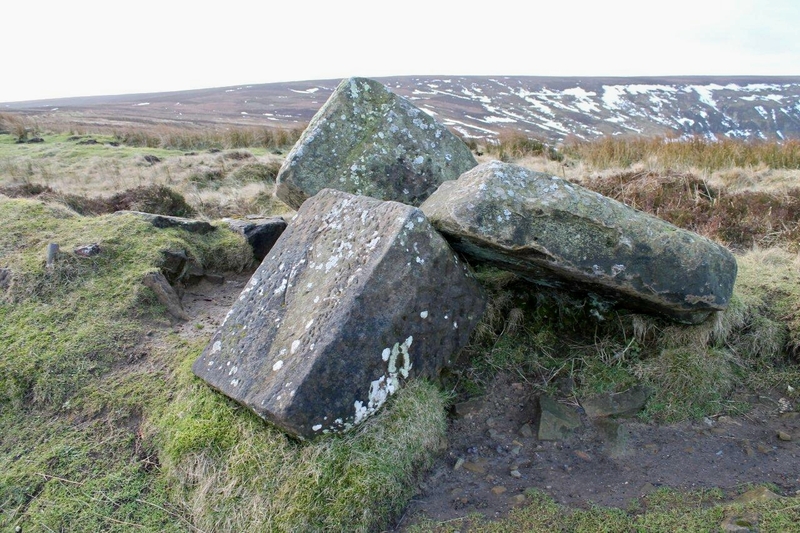 THE mineral line from Ingleby Greenhow to Rosedale didn’t feature in George Bradshaw’s railway guides – so that’s one reason why Michael Portillo hasn’t ventured along it with a film crew. Another reason is the track was lifted long before most of us were born. That doesn’t mean to say it’s not a great journey. It is. On foot . . .
My wife recounted later: “Oooh. We just stood there. ’Es really ’andsome when you see ’im in the flesh. Oooh. Oooh.” And so did the anti-poll tax movement sustain an early setback. Personally, I think he’s an ugly bugger. And anyone who wears pink shirts and lavender jackets should not be trusted. From Ingleby Greenhow I march along lanes to Bank Foot Farm, where a winter wind moans eerily in overhead power lines and bare branches. From the farm, a railway trackbed runs south along the foot of an escarpment. Northwards, it crosses a couple of fields to arrive promptly at Battersby Junction, which is still connected to the national rail network. So this walk should really have been done by train, not car, to add some authenticity (this has just occurred to me while typing these words). 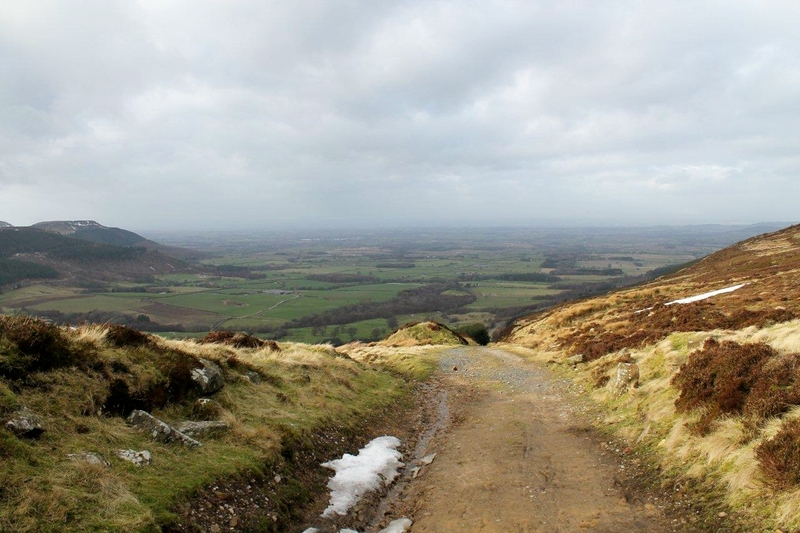 Two miles later along the southbound trackbed, clad in waterproofs and buffeted by gales and squalls of hail, I arrive at the foot on an inclined tramway that once lowered wagons of ironstone 730ft in vertical distance (222m) from the crown of the moor. Great continental railway journeys, eh? Michael Portillo travelling in luxury through European history, eh? Pink shirts and lavender jackets, eh? Cast all that nonsense aside. What would it have been like to stand in an empty ironstone wagon as it glides up the incline, watching the distant blast furnaces of Middlesbrough appear above the trees? 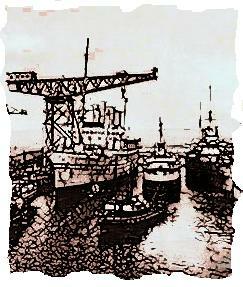 Picture this: heathery moors sweeping down into a basin of perfectly flat farmland; a smudge of smog on the horizon; grey chimney stacks trailing webs of smoke into the atmosphere and out across the North Sea as the wagon gains altitude – the Pennines to the west, industrial mayhem to the north. Then a sudden jolt and a clatter of wheels as the wagon arrives at Incline Top. 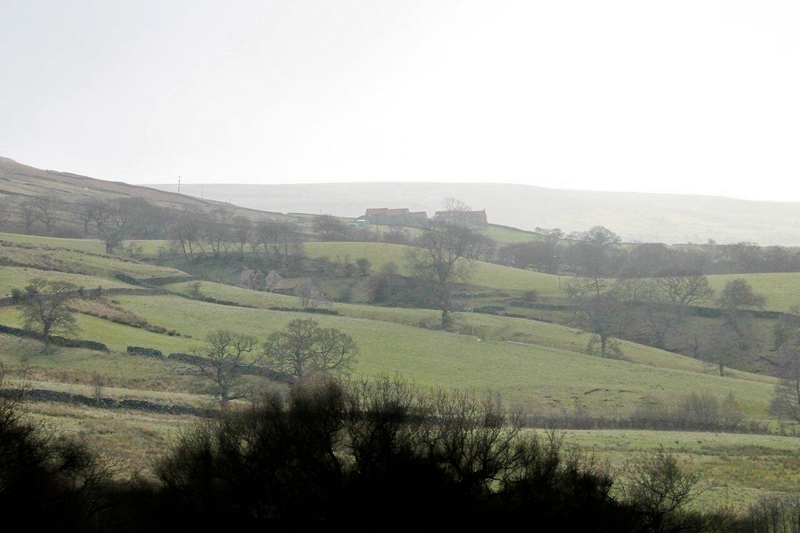 And there before you, a railway line snaking south along the moor’s purple crest for miles and miles towards the sun. Today there is a ferociously bitter wind and an occasional flurry of snow. 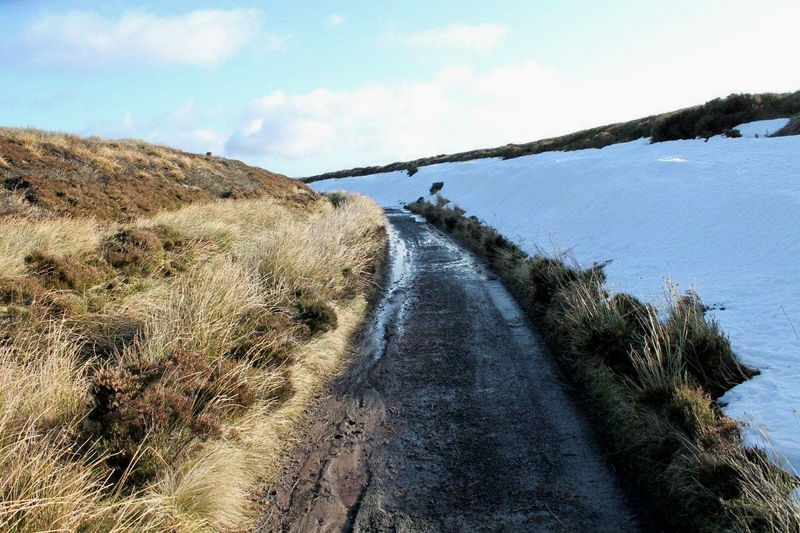 The trackbed is easy to follow, but banks of slush linger in cuttings and make progress arduous. 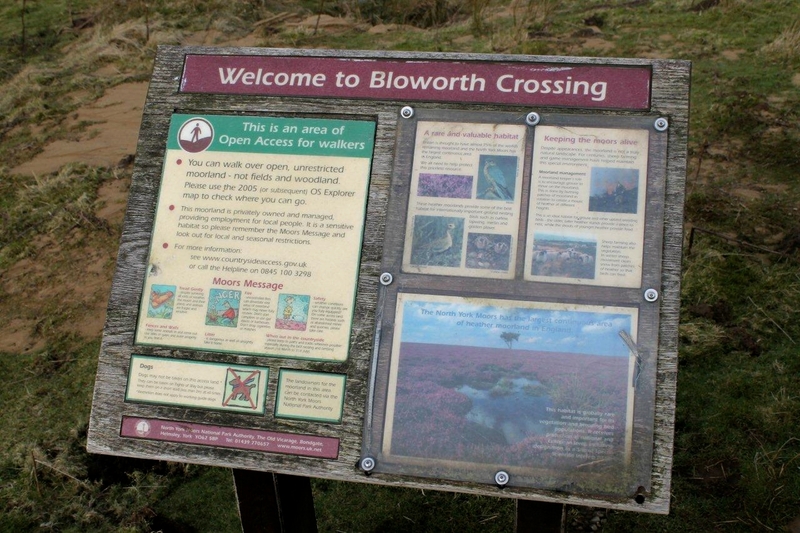 At Bloworth Crossing the line intersects a drove road that has been incorporated into the Cleveland Way long-distance footpath. Bloworth must have been one of the highest level crossings in the country, but if anything existed in the way of signs or gates they have long since disappeared. 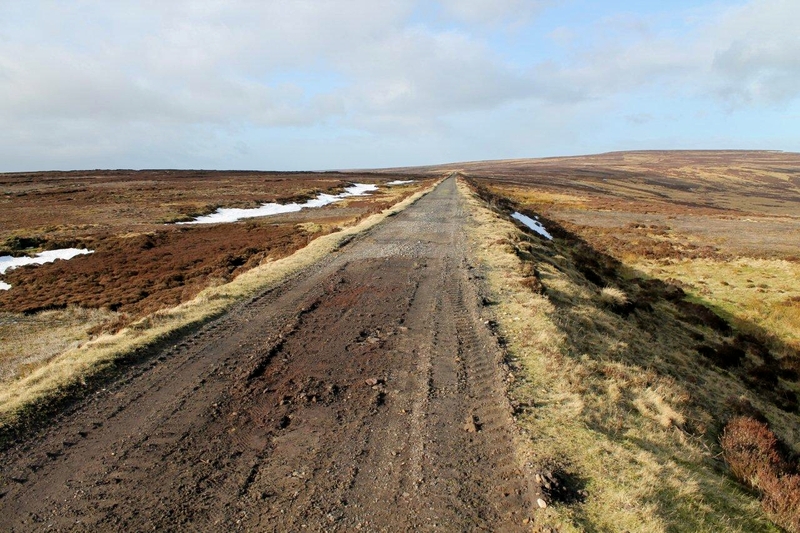 A couple of barriers prevent off-road vehicles from damaging the delicate moorland plant-life, and an information board details the environmental features. 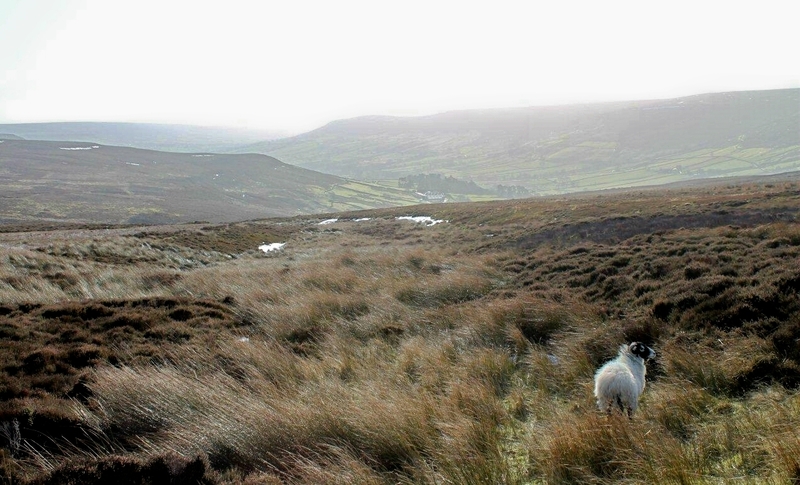 Other than that, there is little to see except an abandoned railway, an intersecting path and lots of bog and heather. 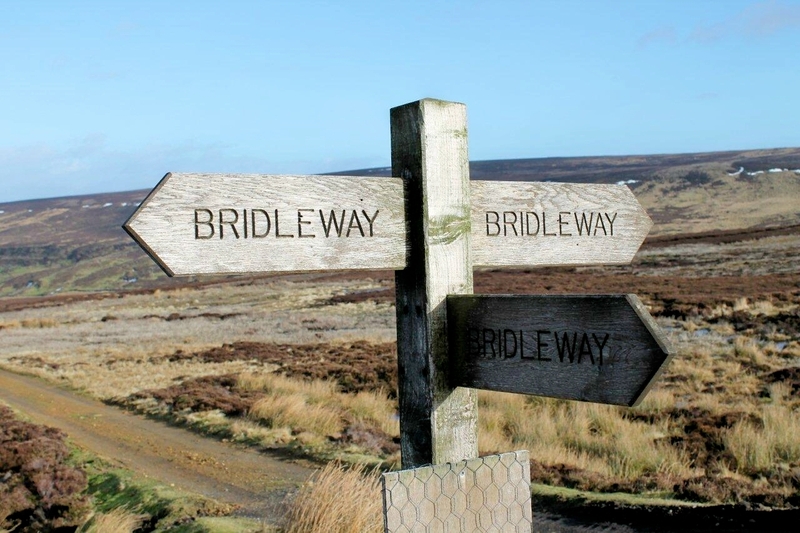 I head south along the trackbed for several miles around sweeping curves that exploit the contours to a bridleway that dives into Farndale. 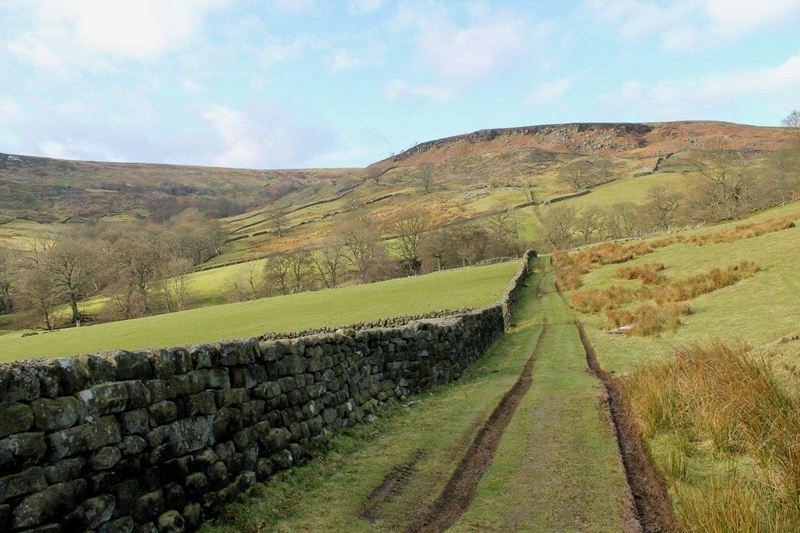 Rosedale and its iron mines are too distant for one day, so it’s my intention to descend to Esk House Farm, double back, and follow tracks to the head of Farndale, then climb back onto the moors to Bloworth Crossing. 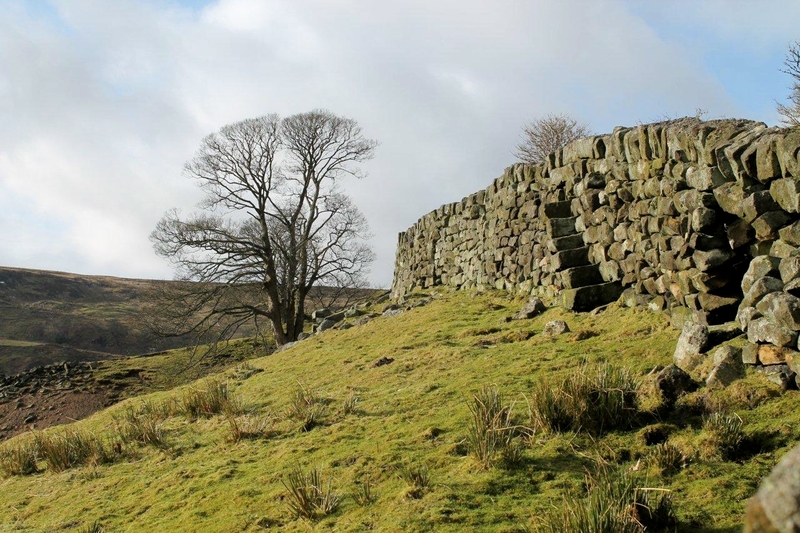 At the roadside just north of the farm, I’m sitting in the shelter of a dry-stone wall eating my lunch like an old tramp, when along the road trots a rather rotund lady in smart tweed trousers, red thermal top, and wielding trekking poles enthusiastically. Aha. She spies me in the undergrowth and stops to chat. She tells me she’s from Hull, a delightful place apparently, but one I’ve seen very little of except for an unflattering ferry terminal. Today she’s inspecting footbridges in Farndale in her capacity as a voluntary ranger, making sure they’re all in good working order ready for the daffodil season. If Farndale is famous for anything, it’s daffodils. I expect everyone knows that. Last week she was inspecting the coastal cliffs between Scarborough and Filey. They are collapsing into the sea at an incredible rate and the footpaths are becoming quite scary. Soon Scarborough will have been washed away completely. That’ll make the borough council’s recent demand for the return of Richard III’s bones look pretty silly. The ebullient lady from Hull (which sounds like the opening line of an interesting limerick) heads south in search of a railway sleeper that’s been washed from one of her bridges. I finish my cheese and pickle sandwich and head north. 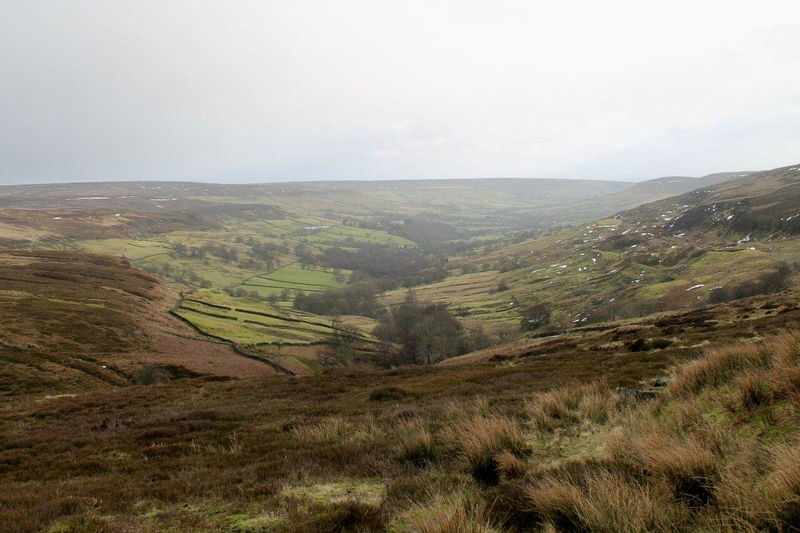 Farndale today, in the blustery wind and sudden showers, is a peaceful place. Pleasant tracks lead through farms and climb onto the open moor, where a slight navigational error places me further to the east of Bloworth Crossing than I had anticipated and marching in the wrong direction. Other than this hiccup, I have enjoyed my walk. 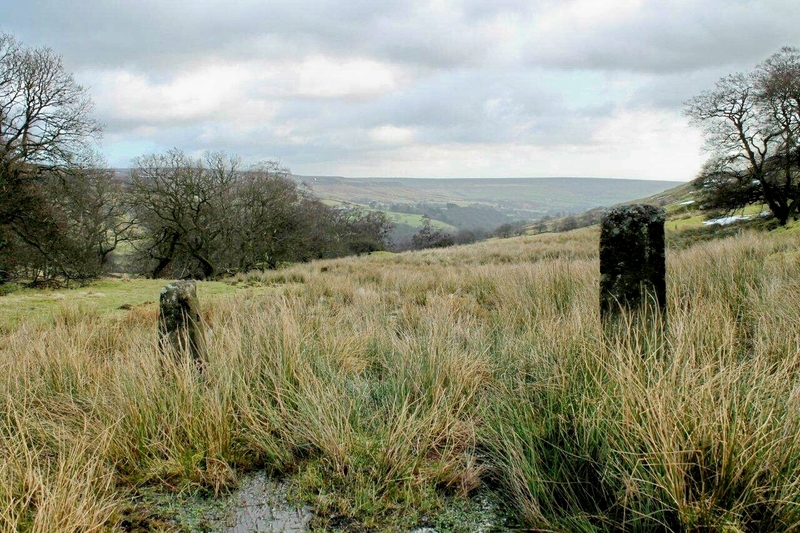 A hundred years ago, these moors were alive with activity. Now they are empty. 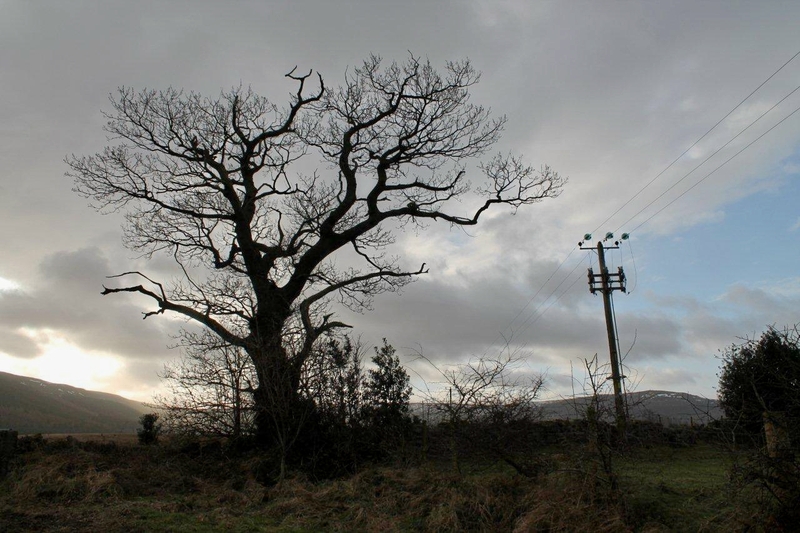 The industry has gone and the landscape has subsided into a more natural state. 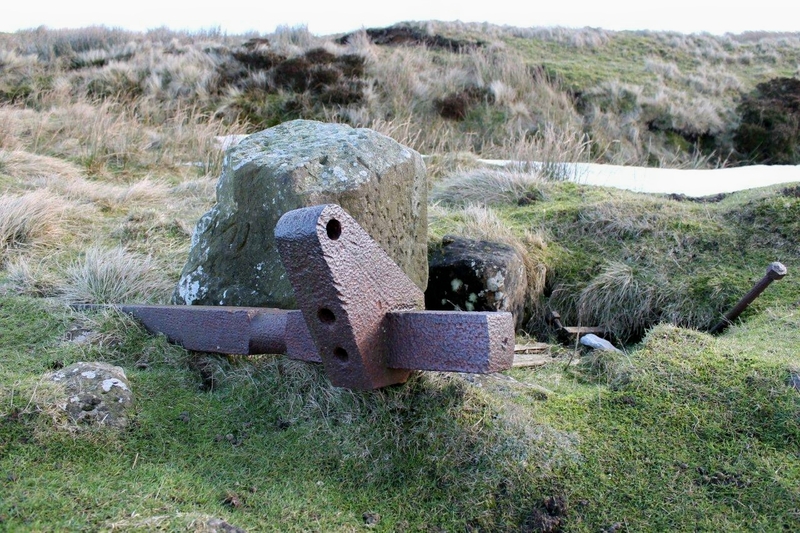 But telltale signs of those former times remain: blocks of masonry; an iron bar sticking out of the heather; marks left by sleepers in cindery paths; overgrown spoil heaps; curved embankments. 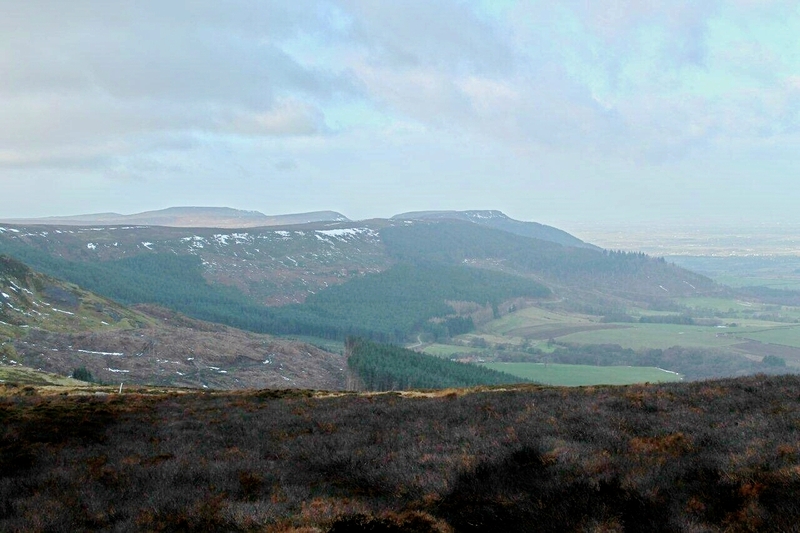 The North York Moors. I’m beginning to feel quite attached to this place. Might get the train here next time. I’ve already ordered a pink shirt and lavender jacket off Amazon. 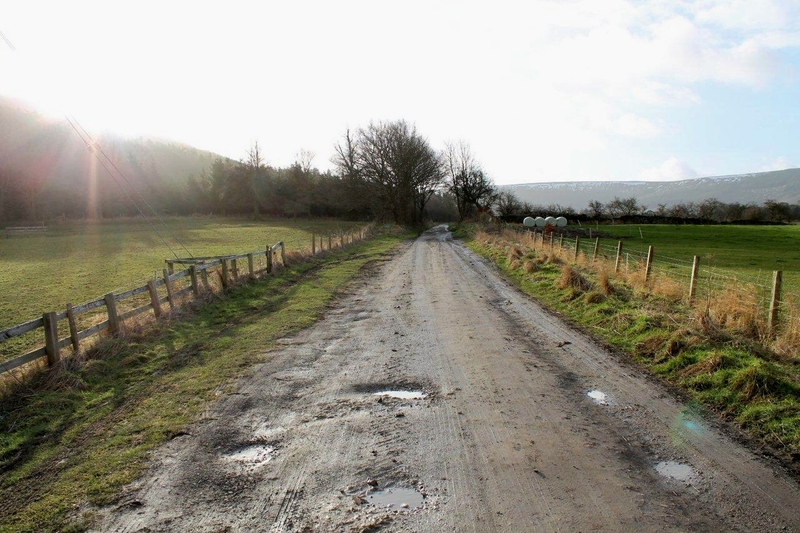 This entry was posted in Archaeology, Climbing, Drove roads, Environment, Footpaths, Hiking, History, Industrial archaeology, Mountains, Railways, Walking and tagged North York Moors, outdoors, Pennines. Bookmark the permalink. Hej Hanna. Thanks for that. Your second and last pictures are quite gorgeous, and your story-telling is magical. Hi Alan. The jacket’s just landed in the post but I’m sending it back because it’s too tight under the arms. When you say the second picture is quite gorgeous, do you mean the Michael Portillo picture or the tree? I’m quite pleased with the tree. I nearly put it at the top. Hi Danny. There were plenty of ghosts following me. They are growing in number. 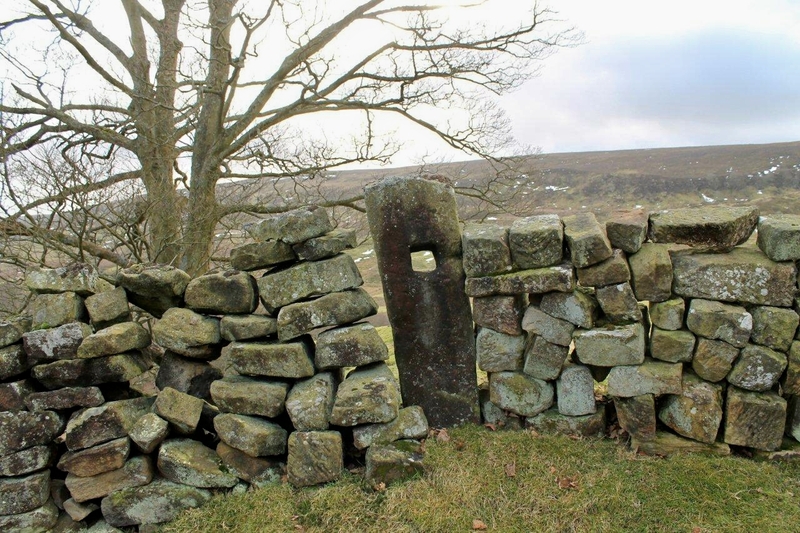 And yes, the stile was interesting, and all the walls in that area appear to be made from hand-shaped stones rather than just random quarry or beck stones. It’s an interesting place. Thanks for the notes – my geological knowledge of the area is rather fragmented to say the least. 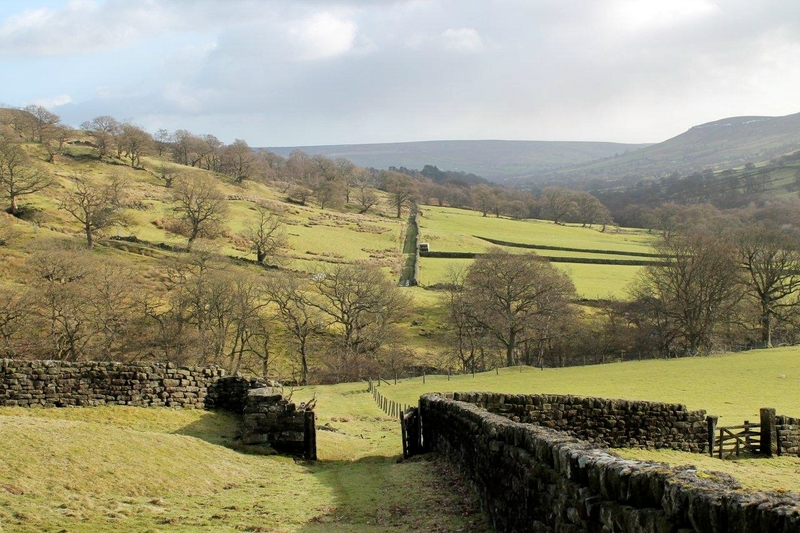 Rosedale’s high on my list for a visit because I’ve never been there and it looks like a fascinating location and full of history. 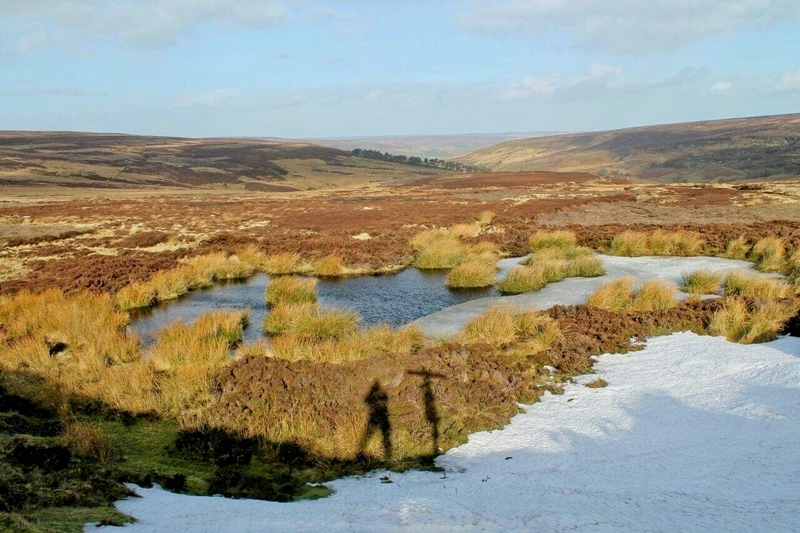 It’s hard to imagine these moors resounding to the thump of industry and the hiss of steam as people toiled in all weathers up there. The walking looks great. 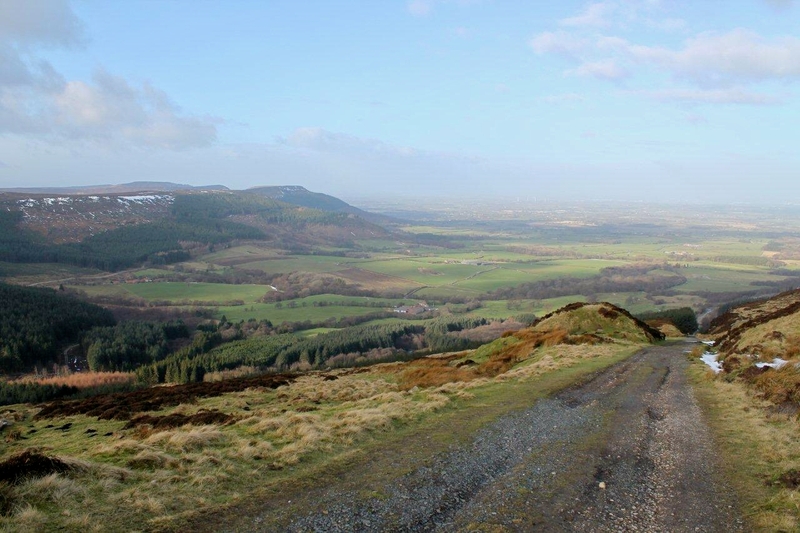 Looks like a good mountain biking area as well with all those bridleways and wide track beds. Hi David. I would say it’s almost purpose built for mountain biking. 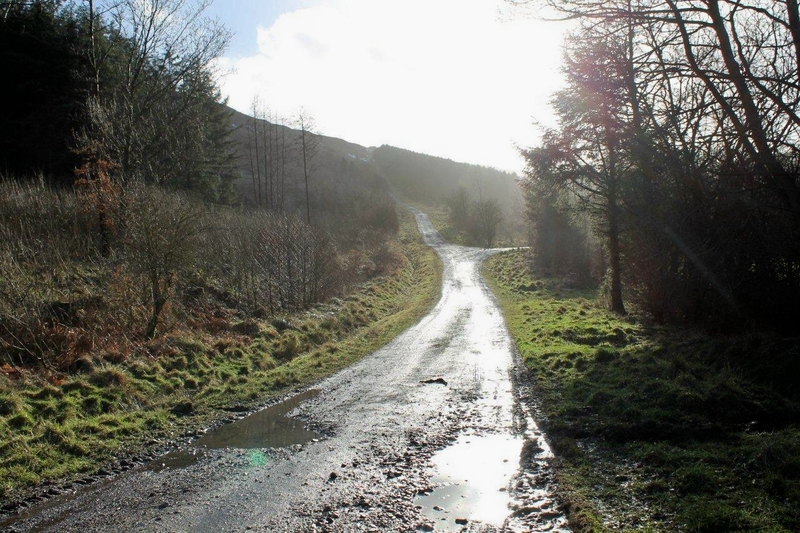 Those tracks seem to go on for ever, and that incline would set your brakes screeching – on the way down at least. I will be bleak up there today, though. There’s a blizzard blowing down here in Barton, so it will be a white hell up on the moors. Ha ha. I often find myself in times of crisis, Jo. Perhaps we should all wear pink, just on the off chance we might get lost on the fells. Not so sure it would go with my eyes, though. It’s a great place for walking. Didn’t see another soul all day on the tops. Nice story. I’m not familiar with these areas but they look good for some exploration. I was on the edge of my seat there waiting for a dirty pay-off line. Ha ha. It’s a great area, James, and I’m not very familiar with it either. But it’s great for striding out on a cold and windy day. Some of that trackbed looks to have some steep inclines on it. It looks quite a nice walk though. 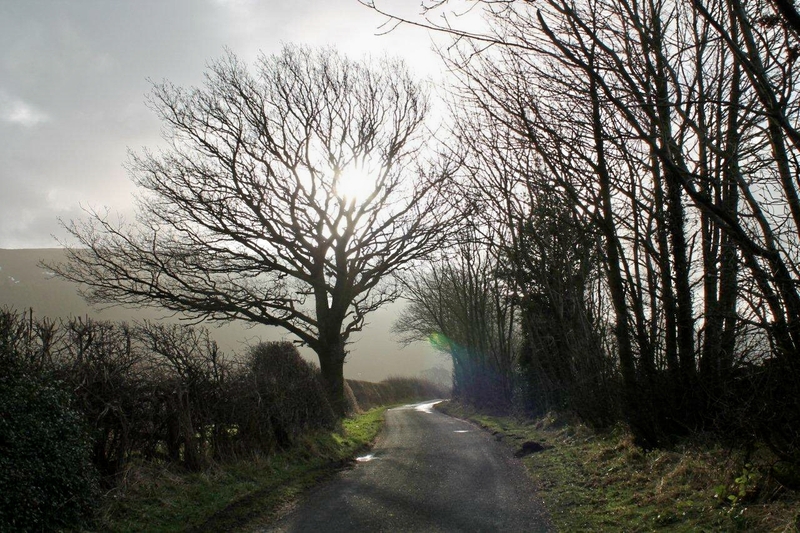 Your first few ‘wintry trees’ photos are really lovely – I like trees in winter – it’s about the only thing I do like in winter! And I don’t think Michael Portillo’s good-looking either – your tale proves what a smarm I already thought he was! Thanks for that Carol. I’m tempted to finish the limerick but it probably wouldn’t be printable. And thank you for restoring my faith in womankind in regard to the Michael Portillo thing. Your photos are outstanding, Alen. A lovely light, and a unique atmosphere. However, it sounds like an exhausting hike, perhaps it is your description of the weather. How many kilometers did you go before you discovered your navigation error? Obviously I can tell an awful report from Norway, for once it is not about myself starring:-) But more about this another time. Hej Hanna. I quite often go astray and end up walking in the wrong direction, but I usually sort myself out before too long. I was about a kilometre out on this occasion, which isn’t far. I’ve done worse, such as dropping down into the wrong valley in Spain once, which was very disorientating. How did Portillo wangle his meeja junkets? I don’t believe his new ‘reasonable’ pose and his Radio 4 series in which he re-examined some historical event from an extremely right-wing point of view was predictably objectionable. 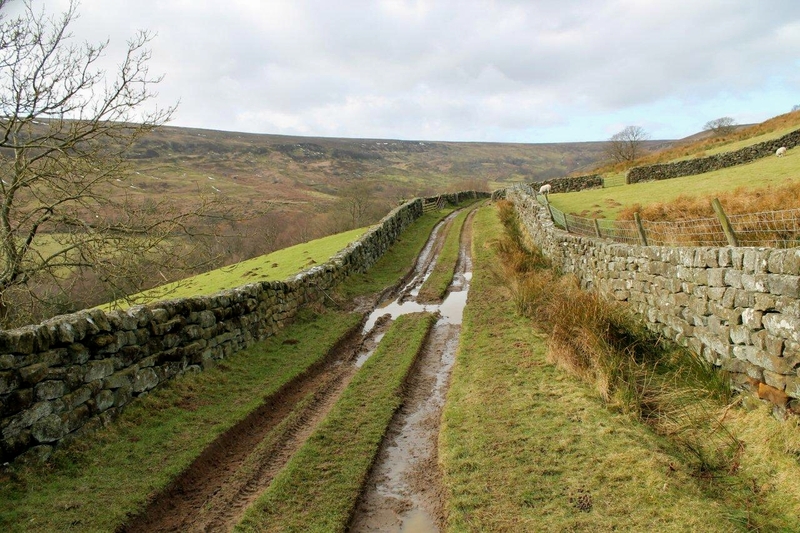 I’ll stop ranting now……looks like a great walk, I’ve only visited the North York Moors a couple of times, seems I’ve been missing out. Funny you should say that, because I sat down to watch his European railway journeys series with great expectations and found the whole thing sadly lacking in depth. I got the impression he’d read the script the night before he went and didn’t have much idea about the places he was visiting and the people he was supposed to be interviewing. Perhaps he should have stuck to being Defence Secretary. No, no. Forget I said that. 1997. Oh, what sweet joy. What nectar. What sublime happiness – and so fleeting. If only it would come around again. Like, tomorrow. I’ve been savouring your blog back pages, going through them a few a day…what a wonderful, beautifully written body of work. It contains most of the things I love….mines, old railway tracks, landscape, pies and comes with a refreshing sprinkling of left wing attitude. I can’t be trusted to speak coherently about that man with the lavender jacket…my missus thinks he’s nice too. Anyway, thanks for another great read! Ha ha. Funnily enough, I’ve just had a conversation this very afternoon with my brother-in-law concerning the man with the lavender jacket and he’s also of the same opinion. Apparently, there’s a new series of Great Railway Journeys coming out so we were discussing the merits of the man. My wife, while defending Portillo and his fashion sense, reckons his legs are too thin. Thanks for the comment, it’s greatly appreciated.Positive feedback makes everything feel worthwhile.